Publisher note: This is a second Kids to Parks Day post; the first was inadvertently eliminated during an AKontheGO WebGuy backup. We still love him, so it’s all okay, because mistakes and missteps in communication happen. Onward and upward! Parks are childhood. 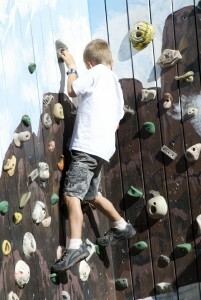 Open fields for free play; slides and swings and climbing things; places to camp, hike, and explore. Parks are also spaces where kids, regardless of age, can learn valuable skills of decision-making, cooperation, and even take a few risks, whether they know it or not. Even in America’s smallest communities, one can almost always find a park of some kind, a testament to grownups who hopefully remembered what it was like to shoot down a slide, crawl sleepily from a tent, or climb a rocky hillside. They are places for infinite discovery. But kids are missing out on opportunities to visit parks. The National Park Service reported their highest attendance year ever in 2014, but young people age 15 and under were underrepresented. 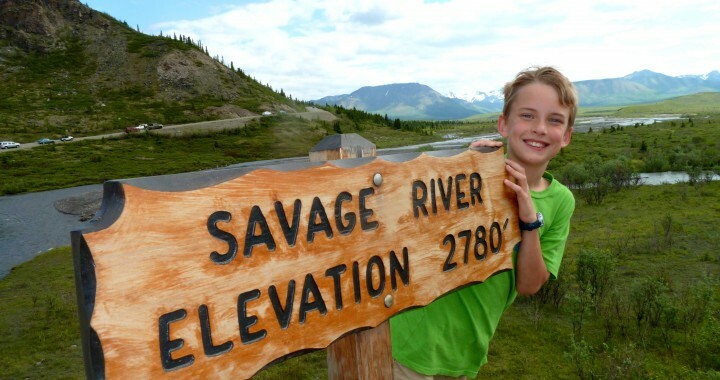 Even in Alaska, where the state’s biggest city of Anchorage rubs shoulders with the third-largest state park in the nation, children aren’t flocking to local, state, and national parks as they were in previous decades, when neighborhoods, family road trips, and calmer scheduling prevailed. Technology plays a role, too. More kids are obese than ever before, yes, right here in Alaska, with 17% of kids growing up above their age-appropriate body weight. Getting outdoors and getting active leads to a happier, healthier lifestyle for kids, so when Michelle Obama launched her “Let’s Move Outside” campaign in 2010, the National Park Trust was solidly behind this effort, creating another event to encourage not just activity, but outdoor activity. That’s how Kids to Parks Day was born. Last year, 447,000 people from all parts of the country participated in Kids to Parks Day. In 2015, the Park Trust would like to raise that number to 500,000. You can help. Kids to Parks Day is more about simply going outdoors than formulating a fancy event with famous faces, popular music, and flashy prizes. With so many parks and open spaces available in the United State, the Park Trust would like people to go explore a place they haven’t been, or take someone new along for the ride. All you have to do is pledge to be there, anywhere, on or around May 16, 2015. Registration is easy: Go to the Kids to Parks Day website, sign up your family, and you’re done! The numbers of pledges will be used to track where, and how many people decide to take part, and help the National Park Trust with further efforts to expand the event next year. Alaskans have myriad options for park outings, ranging from urban play spaces to remote backcountry cabins. Families are limited only by their imaginations. New to the state, or, perhaps, you’re looking for something a little different? 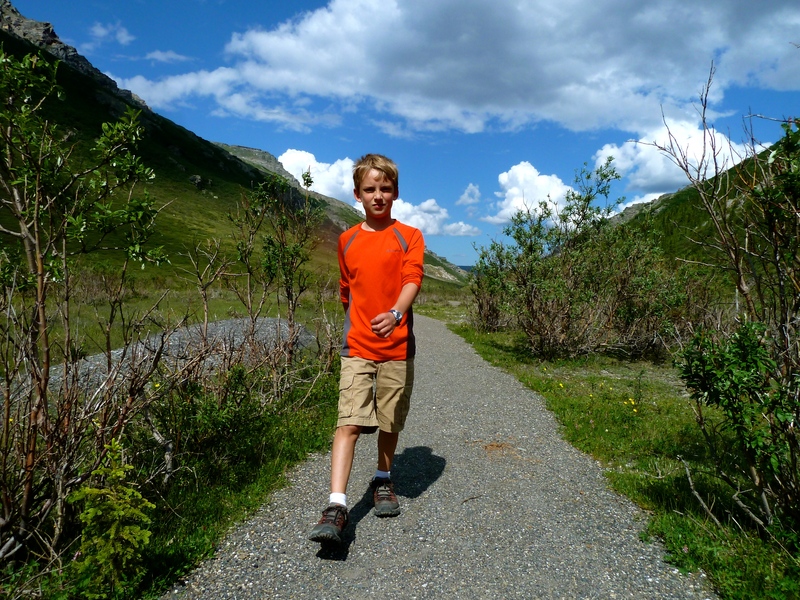 Below is a listing of Alaska local, state, and national parks that might get your crew excited for Kids to Parks Day. Fairbanks North Star Borough has a comprehensive listing of city parks HERE. Many connect via city trails, too, making for a nice walk or bike ride with the kids. The Anchorage Park Foundation is a wonderful organization supporting local parks. Find their maps to all Anchorage parks, HERE. They even have a mobile app! Alaska’s capital city of Juneau has a listing of parks in town and the surrounding area of Douglas. Great trails exist in this forested community, so don’t miss out. 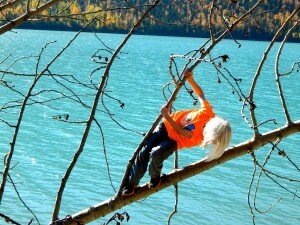 Try Seward’s community park or the little town of Talkeetna, too, for dreamy playgrounds with a decided Alaska theme! 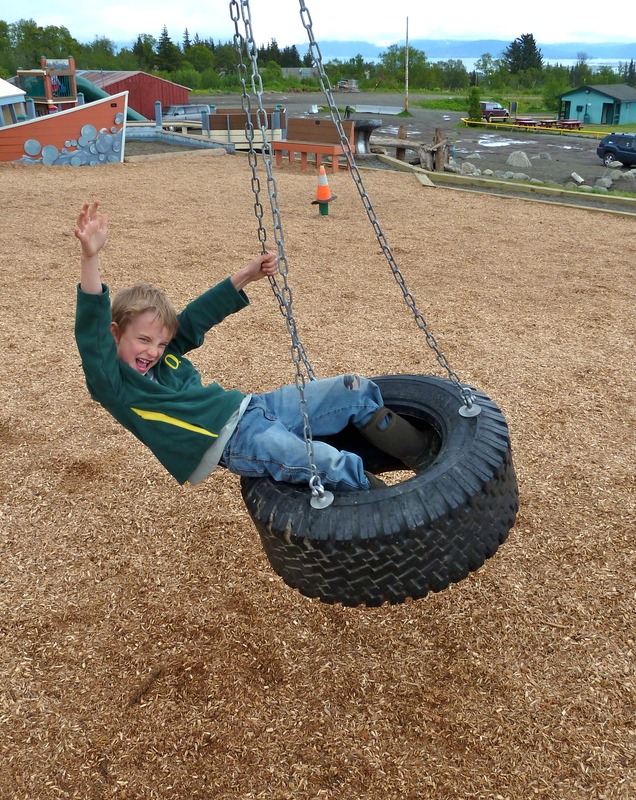 Homer’s Karen Hornaday Park is another winner. 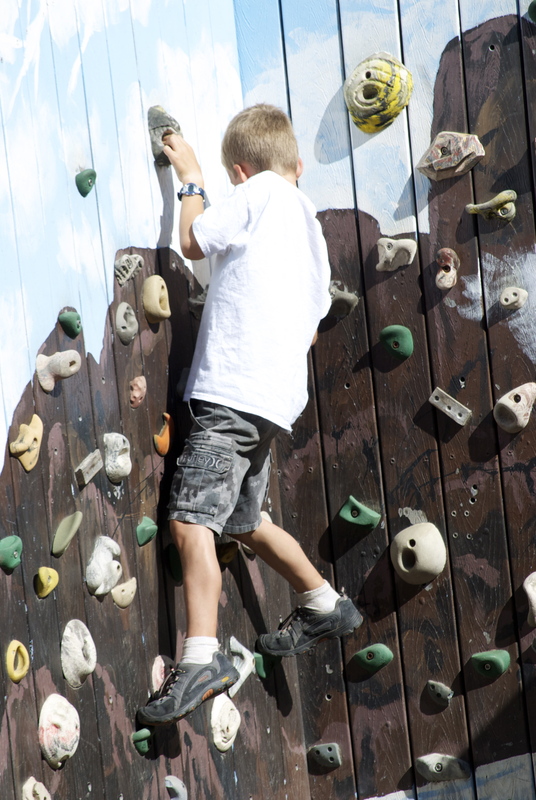 Set on a hill overlooking town, it’s a kid’s wonderland of climbing things, water, and swings. Alaska’s state parks are managed by the Department of Natural Resources. From hiking trails to campgrounds and public use cabins, the state parks option is always a good one, no matter your level of outdoor experience. Start HERE, and work your way around the DNR website. I can’t think of a better way to celebrate Kids to Parks Day than honoring your own state’s parks. “America’s Best Idea” just got better with Kids to Parks Day, which happens to coincide with the final week or two of school. 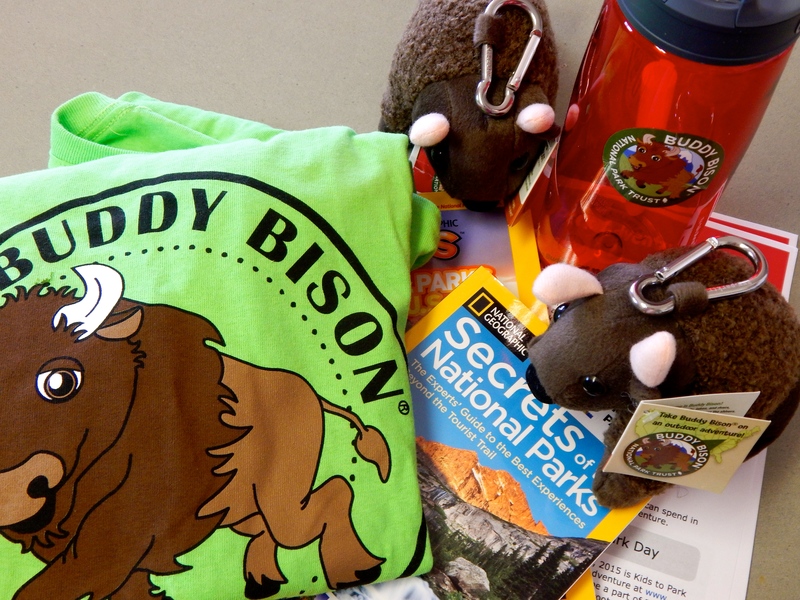 Why not pack up the kids and visit a national park near you? For many Alaskans, that means Denali (AK Kid’s favorite place in the world), Sitka National Historical Park, or maybe Kenai Fjords. Alaska has 17 national parks, preserves, or national historic landmarks, and each one, like our state, is unique and special. Some day, we’re going to see them all. Still not sure? There are scheduled events happening around the nation, and some in Alaska. Check out the Kids to Parks website for specific information about these, and other ways to enjoy your outdoor experience. Try a Park Adventure Booklet, with games, drawing space, and ideas for outdoor fun. Speaking of games – why not try tag, or a photo scavenger hunt, or hosting an outdoor birthday party? All these things will get kids engaged and busy in their natural world, and they’ll be learning without even trying! – Two stuffed “Buddy Bison” toys, the mascot of NPT. – Two books published by National Geographic, describing the wonders of America’s national parks. Starting… now, and running through Friday, May 8 (I’ve added a day after our little fiasco). Winners will be announced Saturday, May 9. IF you entered previously in the comment section, please do comment again. 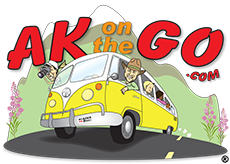 Posted in Festivals and Events and tagged Alaska, Alaska National Parks, Alaska parks, Alaska State Parks, Anchorage Park Foundation, get outdoors, Kids, Kids to Parks Day, Outdoor Families. Both my girls 4yo and 17 months love being outside and exploring. I really enjoying watching my 17 month old feel new objects in nature. We play outside everyday. We LOVE our parks!! Thanks for the heads upon the Anchorage Parks App. Gonna go download it next. It gets goofy sometimes, but overall, is a great app! Summer “bucket” list done. Longer bike rides and Gulkana float trip! Jealous of the Gulkana trip, Chris. Let me know how much fun it is! We are going to try to hit as many parks as possible this summer. Knocked out three so far! Alaska is one big park, isn’t it? I am so grateful to our community leaders for committing to the preservation of our park systems! I try and take my kids to one different park each week during the summer. They love playing on new and different equipment each week and I love the change of scenery! Alaska is such an awesome place to call home! Excellent, Debbie! We’ve got you down for one awesome Kids to Parks Day entry! We’re crossing our fingers, too, for a lovely summer! We will definitely attempt to get out that day! We have a state park within 20 minutes of us here in west central MN. Sibley State Park. Would love to get out and do some geocaching! We’ll be visiting Denai this summer, and we definitely want to check out the new South Visitor’s Center. Love the Parks up here. Such a great idea. My son and I are making a list of all the parks we want to visit this summer, trying to explore a lot more. So many great ideas! Thank you! 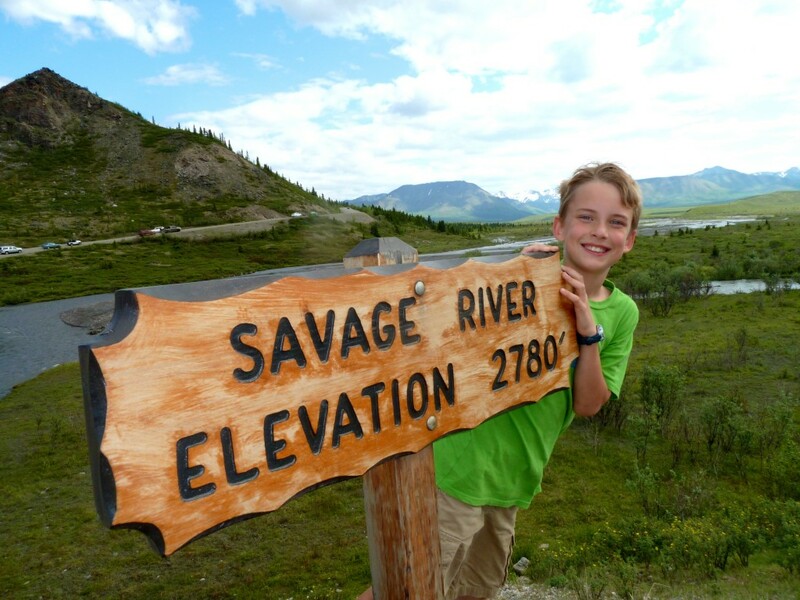 We are so excited for summer exploring in Alaska with our new son! Signed up on the website! We will go into the chugach on May 16th.